The mountain buggy suits very well with our life style, we love it. We use it everyday in town and alan for the afternoon joggings. It is also very easily dismantled to get the buggy in the car. My partner and I are new parents and found this pram online thinking it would be perfect, though a little expensive. After months we decided to look at other prams but found this one straight away again, which we took as a sign and locked it in. I have no regrets splashing out for this magnificently crafted baby transporter! With it's flexible, air filled wheels it is so smooth to push I have to race my partner to push the pram when we go out. 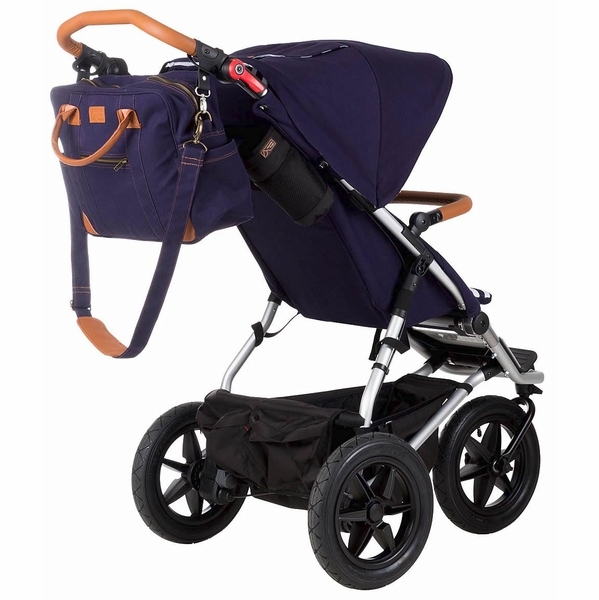 We love the soft handles, the peep hole to check on bub, the hand brake makes stopping and going super easy and there is enough storage in the bottom for a decent shopping trip. The included nappy bag is amazing, fits everything and more and clips so nicely to the back of the pram. The bassonet would have been adorable to clip to it too but the fact that it's already adjustable for newborns to kids of 4 years is awesome. We live on a remote island, North of Australia so the pram is a little out of it's comfort zone up here but it handles everything from sun to rain, road and dirt so well. Would have another child just to use the pram again. *Have yet to use with the included seat. 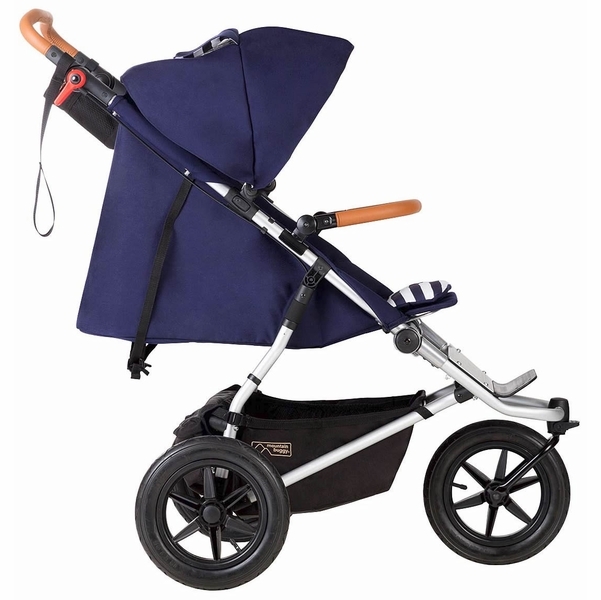 Currently using with the Carrycot +, in the parent facing option (see review). Love this thing. Pros: - Smooth ride, even over bumpy grass and rough streets - Easy to maneuver, turns with one hand - Hand brake (no ruined shoes) - Easy to fold - Basket has compartments (yay for hiding things) - Adjustable handlebar Cons: - tires go flat quickly (I keep a bike repair kit with pump and extra tube attached to base rail) - Basket is a tad small Not great with the Carrycot+ or other accessories, will update as I begin using full seat. I did a lot of research before purchasing our UJ nautical package and on the whole, i'm extremely happy with it...BUT there are a few easily fixed tweaks that need to be addressed. 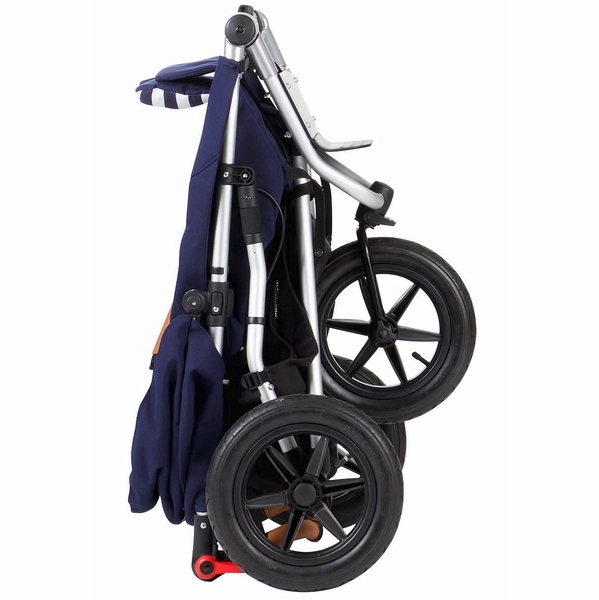 Pros: Easy fold down Extremely easy to push and swivel - a super smooth ride for baby Just as great off road as it is in a shopping centre Gear tray holds a decent amount of stuff - hidden pockets are great for nik naks too. Brake is very easy to flick on and off. Quite light Leather handles look very attractive. Adjustable handle is great for granny/mum/dad comfort. Cons: The fabric is not a great quality or finish - the carry cot was lovely for about a week then the blue started fading out and it is extremely hard to keep clean. Constantly have to lint roller it..and i'm in Ireland where the sun is non-existent! 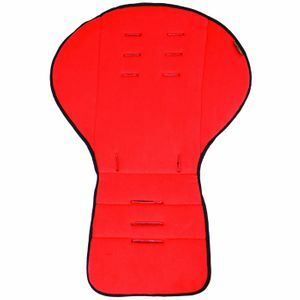 When converted to the parent facing seat, the holes for the straps look awful and tatty, and again, the fabric used fades and gets dirty very quickly. My other large bone to pick with the parent facing seat is that it doesn't recline at all so if baby falls asleep it's hard to keep them like that! The parenting bag that comes with the bundle is the same poor fabric which looks tatty and dirty after a couple of uses. Also everything ends up in a jumbly mess as there aren't enough compartments/structure to the bag to keep things orderly. Sunshade would be better if it could extend slightly further. We absolutely LOVE our new Mountain Buggy! I'm not usually one for leaving reviews as I'm an extremely busy dad, but this thing has been fantastic! Lightweight, easy to use, and we LOVE the nautical color patterns. My wife and daughter thank you! 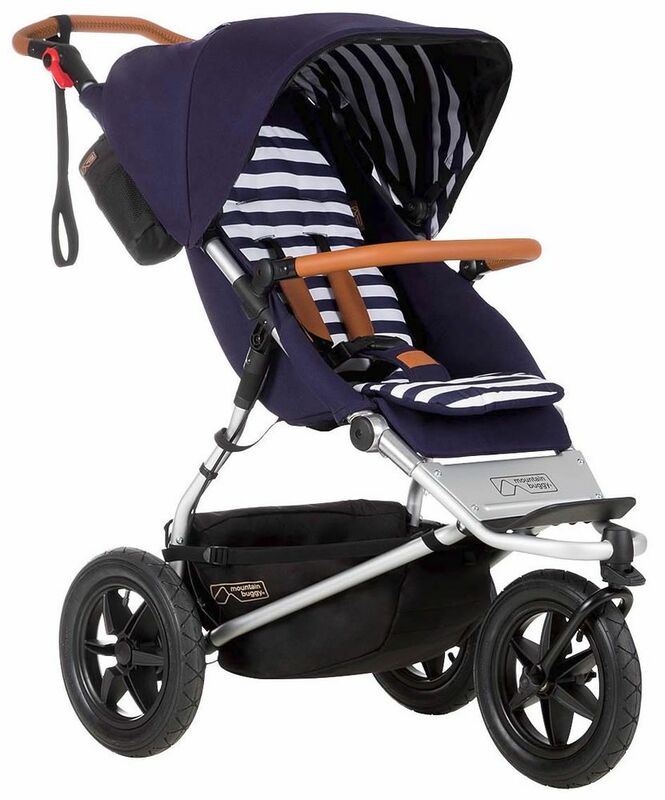 We bought the urban jungle luxury mountain buggy (nautical color) 15 months ago. We decided to choose this stroller because of the nice looks and practicable folding mechanism. In addition because of the price I hoped for good quality but I was wrong. The fabric fads quickly and looks old and cheap. The handle brake appears handy, however since the brake is located along the frame other stroller can easily get stuck along the cable. That's what happened to my stroller. Someone got stuck at the cable of the brake pulled and now the brake is no longer working. In addition the signs to unlock and lock the brake fade very quickly and are no longer visible.The canopy is horrible since the frame bars are made out of plastic and easily bent and the plastic breaks. Also the canopy is connected with press button which disconnect very easy.In conclusion my beautiful and luxury stroller looks cheap and ugly after 15 months and I'm close to throwing it away and get a different one. I used other strollers in the past for the third of the price and they were much better. Buying this stroller is a waste of money and I would not recommend it. The fabric fads quickly and looks old and cheap. The handle brake appears handy, however since the brake is located along the frame other stroller can easily get stuck along the cable. That's what happened to my stroller. Someone got stuck at the cable of the brake pulled and now the brake is no longer working. In addition the signs to unlock and lock the brake fade very quickly and are no longer visible. In conclusion my beautiful and luxury stroller looks cheap and ugly after 15 months and I'm close to throwing it away and get a different one. I used other strollers in the past for the third of the price and they were much better. Buying this stroller is a waste of money and I would not recommend it. 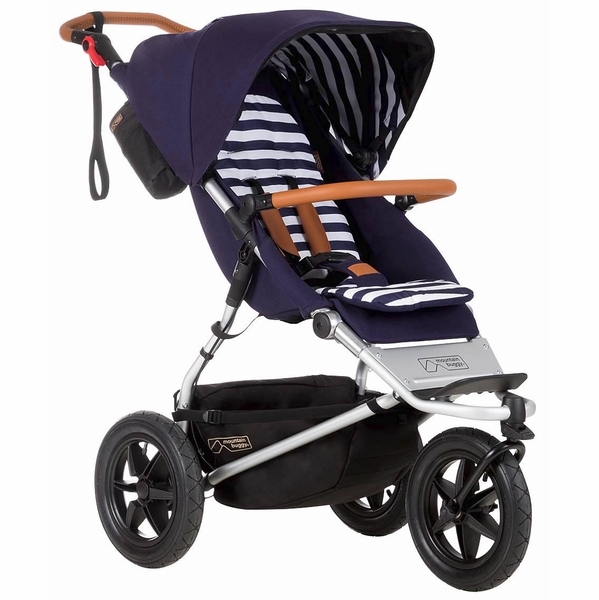 We bought the urban jungle luxury mountain buggy (nautical color) 15 months ago. 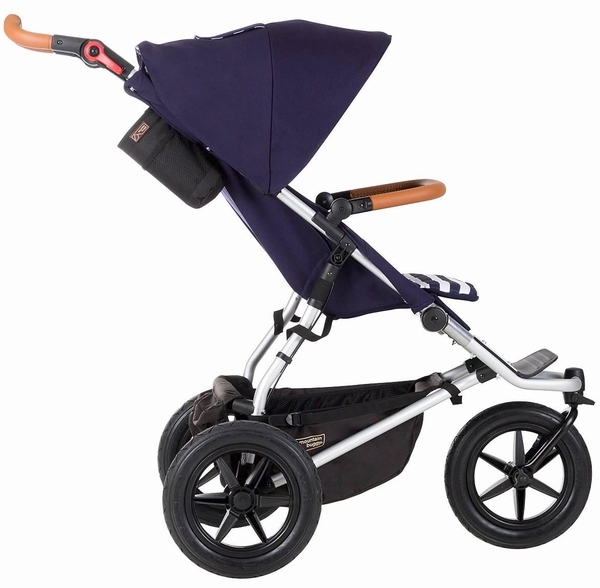 We decided to choose this stroller because of the nice looks and practicable folding mechanism. In addition because of the price I hoped for good quality but I was wrong. The fabric fads quickly and looks old and cheap. The handle brake appears handy, however since the brake is located along the frame other stroller can easily get stuck along the cable. Thats what happened to my stroller. Someone got stuck at the cable of the brake pulled and now the brake is no longer working. In addition the signs to unlock and lock the brake fade very quickly and are no longer visible. The canopy is horrible since the frame bars are made out of plastic and easily bent and the plastic breaks. Also the canopy is connected with press button which disconnect very easy. In conclusion my beautiful and luxury stroller looks cheap and ugly after 15 months and I'm close to throwing it away and get a different one. I used other strollers in the past for the third of the price and they were much better. Buying this stroller is a waste of money and I would not recommend it. We bought the urban jungle luxury mountain buggy (nautical color) 15 months ago. 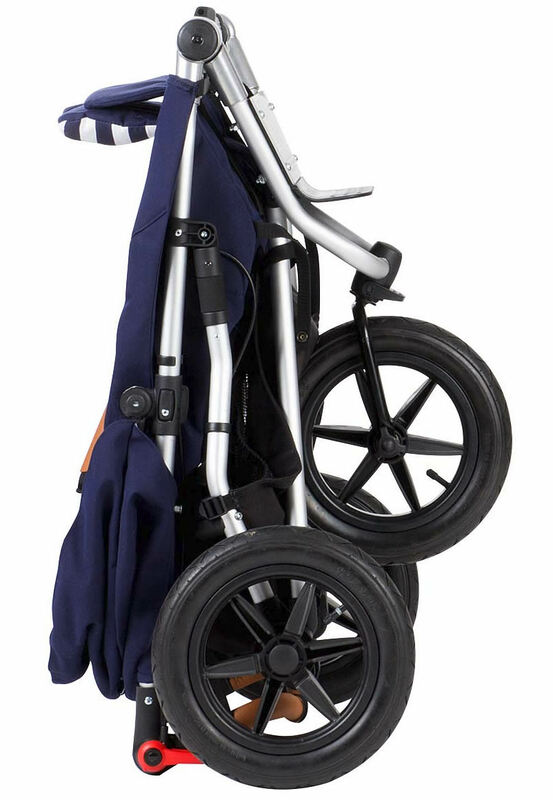 We decided to choose this stroller because of the nice looks and practicable folding mechanism. In addition because of the price I hoped for good quality but I was wrong. The fabric fads quickly and looks old and cheap. The handle brake appears handy, however since the brake is located along the frame other stroller can easily get stuck along the cable. ThatÃÂ¢Ã¢Â¬Ã¢Â¢s what happened to my stroller. Someone got stuck at the cable of the brake pulled and now the brake is no longer working. In addition the signs to unlock and lock the brake fade very quickly and are no longer visible. The canopy is horrible since the frame bars are made out of plastic and easily bent and the plastic breaks. Also the canopy is connected with press button which disconnect very easy. In conclusion my beautiful and luxury stroller looks cheap and ugly after 15 months and IÃÂ¢Ã¢Â¬Ã¢Â¢m close to throwing it away and get a different one. I used other strollers in the past for the third of the price and they were much better. Buying this stroller is a waste of money and I would not recommend it. We bought the Urban Jungle Luxury Collection bundle for our new baby in late 2015 - our baby was born in Feb 16 and is now 4 months old. The bundle consisted of pushchair, carrycot plus, bag and drink holder. We bought it so that we would have the option of the carrycot, plus a forward facing and parent facing seat and were very excited about using it. We chose the Mountain Buggy urban jungle so we could use it both on and off road and loved the look of it. However, now we have had chance to use it I am very disappointed at the functionality of the carrycot plus and also the main front facing buggy. Firstly, my baby is not large for his age but still grew out of the carrycot by 3 months old. I thought this would be okay as we had the parent facing seat option, however was really disappointed to see that this couldn't be used until he was 6 months old. Not only that, but it does not recline which essentially renders it useless as you need somewhere your baby can comfortably sleep - even after 6 months. I find the black canvas picked up lots of dust and fluff and even though I have only used it twice, it looks like I've had it for ages. This is actually true of the entire pram - the fabric looks hard wearing but attracts fluff and dust and hair and looks a bit worn very easily. The hood for the carrycot has also worn badly and one of the plastic poles used to keep the hood rigid has gone through the fabric after only 3 months of use. It wasn't too difficult getting the carrycot on and off the frame, but you couldn't do it with a baby in it. On a positive note, the carrycot was comfortable for the time we used it and my baby liked looking at the stripes on the inside. In terms of the front facing seat, it is quite difficult to move it from upright to recline - one clasp rather than two would have been much easier to manoeuvre - as on the nano. With two it's hard to get the pram flat and is very fiddly to do. The hood is also starting to squeak and I am not sure how much longer it will last. My baby is comfortable in it though and the 5 point harness is good. All in all I had really high hopes but haven't been nearly as pleased as I'd hoped I'd be with our purchase. If you buy I would recommend just buying the buggy and not the carrycot option as it's a waste of money in my opinion. I bought my Mountain Buggy luxury edition Nautical about a year ago and started to use it end of May. I was very excited when it arrived although a bit concerned about the canvas sun hood (canopy) which felt a bit cheap. And unfortunately it didn't last pretty for long, I was using the bassinet for about 3 months in winter and the canopy faded pretty badly, so when i changed to buggy version i was having a big scarf over the canopy to prevent the fading. Well it didn't help, the buggy has been in use for less than 8 months and I am embarrased to walk my baby in it, it faded that much, some parts are orange, and as mentioned in previous reviews, everything stick to the canvas.Brakes - love the brakes on the handle, but they don't work always, its especially hard when I am on escalator (belt) and have my brake on then at the end trying to release it but the pram stays locked. So have to play with it on/off untill it works. The rear tyre clicks as well what i think is the not properly working brake pin.Folding - I have a Kia Rio and had to take the parcel shelf at the back out and have the pram lying sideways.My partner hates it, I love the leather handelbar and that i can go with it through any surface, I love that my baby can sleep nice and flat in it, had a decent size storage basket, but it didn't even last a year! Now I need a new pram, not sure if i want to invest in a new sun hood and seat fabric and don't know what to do with the broken brakes.I wouldn't recommend the luxury edition urban jungle in Nautical, but if there would be an option for a better fabric i would probably give it another go. I bought my Mountain Buggy luxury edition Nautical about a year ago and started to use it end of May. I was very excited when it arrived although a bit concerned about the canvas sun hood (canopy) which felt a bit cheap. And unfortunately it didnt last pretty for long, I was using the bassinet for about 3 months in winter and the canopy faded pretty badly, so when i changed to buggy version i was having a big scarf over the canopy to prevent the fading. Well it didnt help, the buggy has been in use for less than 8 months and I am embarrased to walk my baby in it, it faded that much, some parts are orange, and as mentioned in previous reviews, everything stick to the canvas. Brakes - love the brakes on the handle, but they dont work always, its especially hard when I am on escalator (belt) and have my brake on then at the end trying to release it but the pram stays locked. So have to play with it on/off untill it works. The rear tyre clicks as well what i think is the not properly working brake pin. Folding - I have a Kia Rio and had to take the parcel shelf at the back out and have the pram lying sideways. My partner hates it, I love the leather handelbar and that i can go with it through any surface, I love that my baby can sleep nice and flat in it, had a decent size storage basket, but it didnt even last a year! Now I need a new pram, not sure if i want to invest in a new sun hood and seat fabric and dont know what to do with the broken brakes. I wouldnt recommend the luxury edition urban jungle in Nautical, but if there would be an option for a better fabric i would probably give it another go. I bought my Mountain Buggy luxury edition Nautical about a year ago and started to use it end of May. I was very excited when it arrived although a bit concerned about the canvas sun hood (canopy) which felt a bit cheap. And unfortunately it didnt last pretty for long, I was using the bassinet for about 3 months in winter and the canopy faded pretty badly, so when i changed to buggy version i was having a big scarf over the canopy to prevent the fading. Well it didnt help, the buggy has been in use for less than 8 months and I am embarrased to walk my baby in it, it faded that much, some parts are orange, and as mentioned in previous reviews, everything stick to the canvas. Brakes - love the brakes on the handle, but they dont work always, its especially hard when I am on escalator (belt) and have my brake on then at the end trying to release it but the pram stays locked. So have to play with it on/off untill it works. The rear tyre clicks as well what i think is the not properly working brake pin. Folding - I have a Kia Rio and had to take the parcel shelf at the back out and have the pram lying sideways. My partner hates it, I love the leather handelbar and that i can go with it through any surface, I love that my baby can sleep nice and flat in it, had a decent size storage basket, but it didnt even last a year! Now I need a new pram, not sure if i want to invest in a new sun hood and seat fabric and dont know what to do with the broken brakes. I wouldnt recommend the luxury edition urban jungle in Nautical, but if there would be an option for a better fabric i would probably give it another go. I bought my Mountain Buggy luxury edition Nautical about a year ago and started to use it end of May. I was very excited when it arrived although a bit concerned about the canvas sun hood (canopy) which felt a bit cheap. And unfortunately it didn't last pretty for long, I was using the bassinet for about 3 months in winter and the canopy faded pretty badly, so when i changed to buggy version i was having a big scarf over the canopy to prevent the fading. Well it didn't help, the buggy has been in use for less than 8 months and I am embarrased to walk my baby in it, it faded that much, some parts are orange, and as mentioned in previous reviews, everything stick to the canvas. Brakes - love the brakes on the handle, but they don't work always, its especially hard when I am on escalator (belt) and have my brake on then at the end trying to release it but the pram stays locked. So have to play with it on/off untill it works. The rear tyre clicks as well what i think is the not properly working brake pin. Folding - I have a Kia Rio and had to take the parcel shelf at the back out and have the pram lying sideways. My partner hates it, I love the leather handelbar and that i can go with it through any surface, I love that my baby can sleep nice and flat in it, had a decent size storage basket, but it didn't even last a year! Now I need a new pram, not sure if i want to invest in a new sun hood and seat fabric and don't know what to do with the broken brakes. I wouldn't recommend the luxury edition urban jungle in Nautical, but if there would be an option for a better fabric i would probably give it another go. So so glad i decided (after much back and forth) on this pram! I have it in the nautical and wouldn't have it any other way. looks fantastic and the quality is amazing! My little man is due in 2 weeks can't wait to take him out in it! I've been using the buggy for 5 months and love how easy it is to move around and I've been able to use for bootcamps and it always gets compliments from others. However, there are some design features that need attention; the canvas is not practical. a water resistent hood would make a big difference as you can't always have the cover on you when out and you will get caught in a shower the rear facing seat is not sturdy and looks cheap and uncomfortable when compared with other brands. I cannot wait to get out of it and into the forward facing one which is not what I want to do but can't keep using the rear facing as its too flimsy the hood doesn't come down far enough and needs a UV shield (if you get rid of the canvas!) the clips are arkward and cannot be used one handed to lift the carriers out or move the seat position. Solve this and you will have the best buggy in the market! This is my fourth Mountain Buggy, having previously owned a 2010 UJ, a Duo and later a Duet. I have always found the brand to be good quality and perfectly suited to my needs, both asthetically and in terms of practicality. I was initially sceptical about the new fabric due to some previous reviews and the store model I viewed was very dirty and covered in fluff. However my luxury model has been great so far and I havent had any issue. I imagine you could clean it up quite easily with a sticky roller anyway. In terms of features, I couldn't be happier and the pram has far exceeded my expectations. It looks fantastic, handles perfectly and is relatively easy to get around with - I.e in and out of the boot, through doors etc. It has loads of storage, is stable - it doesn't feel tippy if you hang bags from the handle and is just a great all round pram. Having a good pram that suits my needs makes life with children so much easier. I do have three gripes - I do not like the new buckle at all! The way it clips together in four parts is very annoying and fiddly, not what I need when trying to strap in a squirming kid! I have noticed a lot of new prams in the stores have this type of buckle so it must be the new thing. I also don't really like the hand brake. Mine feels a bit flimsy like it might snap off. I much prefer the foot brake. Last of all is the lack of colours available in the UK for the standard urban jungle model. MB have advertised an all new colour range yet the UJ is only available in 3 colours, two of which - black and silver - are quite dull :-( If the red UJ had been available I would've gone with that over the luxury model and saved 100. FYI - if you are having trouble keeping your tyres inflated, pump them up at a bike shop or petrol station. I have always found the tyres stay inflated for longer when I have pumped them up with an air compressor, the hand pump just doesn't cut it as too much air escapes when you remove the nozzle. Obviously take care not to over inflate! Also if you are having difficulty finding 10in tubes for you swift or duet, the fellow at my local bike shop just put 12in tubes in the wheels of my duet. This is my fourth Mountain Buggy, having previously owned a 2010 UJ, a Duo and later a Duet. I have always found the brand to be good quality and perfectly suited to my needs, both asthetically and in terms of practicality. I was initially sceptical about the new fabric due to some previous reviews and the store model I viewed was very dirty and covered in fluff. However my luxury model has been great so far and I havent had any issue. I imagine you could clean it up quite easily with a sticky roller anyway.In terms of features, I couldn't be happier and the pram has far exceeded my expectations. It looks fantastic, handles perfectly and is relatively easy to get around with - I.e in and out of the boot, through doors etc. It has loads of storage, is stable - it doesn't feel tippy if you hang bags from the handle and is just a great all round pram. Having a good pram that suits my needs makes life with children so much easier.I do have three gripes - I do not like the new buckle at all! The way it clips together in four parts is very annoying and fiddly, not what I need when trying to strap in a squirming kid! I have noticed a lot of new prams in the stores have this type of buckle so it must be the new thing. I also don't really like the hand brake. Mine feels a bit flimsy like it might snap off. I much prefer the foot brake. Last of all is the lack of colours available in the UK for the standard urban jungle model. MB have advertised an all new colour range yet the UJ is only available in 3 colours, two of which - black and silver - are quite dull :-( If the red UJ had been available I would've gone with that over the luxury model and saved 100.FYI - if you are having trouble keeping your tyres inflated, pump them up at a bike shop or petrol station. I have always found the tyres stay inflated for longer when I have pumped them up with an air compressor, the hand pump just doesn't cut it as too much air escapes when you remove the nozzle. Obviously take care not to over inflate! Also if you are having difficulty finding 10in tubes for you swift or duet, the fellow at my local bike shop just put 12in tubes in the wheels of my duet. This is my fourth Mountain Buggy, having previously owned a 2010 UJ, a Duo and later a Duet. I have always found the brand to be good quality and perfectly suited to my needs, both asthetically and in terms of practicality. I was initially sceptical about the new fabric due to some previous reviews and the store model I viewed was very dirty and covered in fluff. However my luxury model has been great so far and I havent had any issue. I imagine you could clean it up quite easily with a sticky roller anyway. In terms of features, I couldn't be happier and the pram has far exceeded my expectations. It looks fantastic, handles perfectly and is relatively easy to get around with - I.e in and out of the boot, through doors etc. It has loads of storage, is stable - it doesn't feel tippy if you hang bags from the handle and is just a great all round pram. Having a good pram that suits my needs makes life with children so much easier. I do have three gripes - I do not like the new buckle at all! The way it clips together in four parts is very annoying and fiddly, not what I need when trying to strap in a squirming kid! I have noticed a lot of new prams in the stores have this type of buckle so it must be the new thing. I also don't really like the hand brake. Mine feels a bit flimsy like it might snap off. I much prefer the foot brake. Last of all is the lack of colours available in the UK for the standard urban jungle model. MB have advertised an all new colour range yet the UJ is only available in 3 colours, two of which - black and silver - are quite dull :-( If the red UJ had been available I would've gone with that over the luxury model and saved Ã‚Â£100. FYI - if you are having trouble keeping your tyres inflated, pump them up at a bike shop or petrol station. I have always found the tyres stay inflated for longer when I have pumped them up with an air compressor, the hand pump just doesn't cut it as too much air escapes when you remove the nozzle. Obviously take care not to over inflate! Also if you are having difficulty finding 10in tubes for you swift or duet, the fellow at my local bike shop just put 12in tubes in the wheels of my duet. I do have three gripes - I do not like the new buckle at all! The way it clips together in four parts is very annoying and fiddly, not what I need when trying to strap in a squirming kid! I have noticed a lot of new prams in the stores have this type of buckle so it must be the new thing. I also don't really like the hand brake. Mine feels a bit flimsy like it might snap off. I much prefer the foot brake. Last of all is the lack of colours available in the UK for the standard urban jungle model. MB have advertised an all new colour range yet the UJ is only available in 3 colours, two of which - black and silver - are quite dull :-( If the red UJ had been available I would've gone with that over the luxury model and saved Ã‚Â£100. ssinet and pram feels much nicer than the regular model. From shopping centre to off road, our MB Urban Jungle Pepita is stylish AND functional making it perfect for everyday use. I LOVE the flat lay seat - our bub loves a tummy snooze so the large seat on full recline is ideal! The size of the seat is also a huge plus - our very tall 20kg twins can fit comfortably in the huge seat if we carry bubby. The previous 'big ticket' stroller we had cost literally twice the price and it does not even compare to our MB! The hood is fantastic, perfect for QLD sun and also completely adjustable to eliminate having to use pram covers. The Urban Jungle handles SO smoothly, one handed and folds completely flat in one piece! Brilliant! The under basket storage and pockets are great, so much space and very well thought out! the matching baby bag is a great size with ample compartments and the pram blanket is great for cooler nights out. I was looking for a stroller that didn't compromise on style, hardy enough for everyday use in the real world, would cater for a newborn right through to big, heavy 4 year olds, I've found it and I will never own another brand again! Thank you Mountain Buggy. I love this pram, it is so stylish and usable. The finishing is so well done and the luggage basket underneath is very easy to get things in and out of. The only part I don't like is how it folds up but I can see past that as everything else is so wonderful! We had an older Urban Jungle as a hand me down (I think its at least 6 years old) which we used for a year before we go this one. Compared the old one - it really has improved in so many ways. The brake at handle, the single movement folding action, re-washable seat cover and the extra lower sun protection over the hood. However there are some things that still bothers me.. - the first stroller we picked up had a faulty break which broke the first day we bought it; so check it works really well before you take it home! - the leather covers over the straps for the chest; we literally lost both of them few days after we got it; as it just slips off every time when we lifted our son out of the seat - unless you remember every time to buckle the straps closed even when not in use - when our son is sleeping flat there is a big gap between the back fabric and the hood fabric which allows a lot of light through - leather support bar isn't too well fixed and easily comes off (so when we checked the stroller in at the airport gate; when we landed it came back without the bar twice but luckily we were able to find it) - I would have preferred if the base basket / storage was also in navy blue However generally we are really happy with the new Urban Jungle! This is a fabulous stroller with very few drawbacks. I have used many high end strollers regularly, brands including Silver Cross, Mamas and Papas, Bugaboo, UppaBaby, Mutsy, and more. I have high standards, and expect the best. Seat: The seat is nice - it's large, fairly roomy (although not as much as the terrain), and will fit your child from birth through toddlerhood. 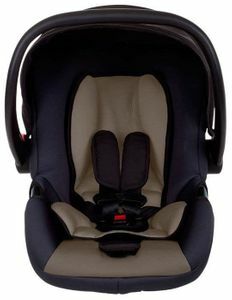 It has a nice flat recline so really usable from birth and for naps out. 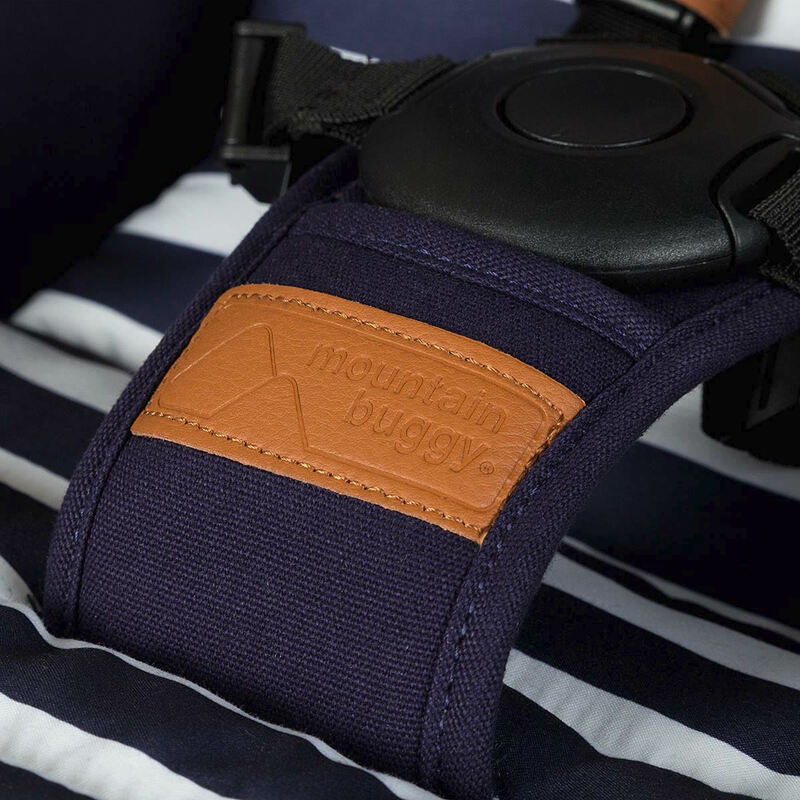 It's a two sided strap recline :( :( which is very disappointing, but normal for Mountain Buggy. In the world of high end strollers though, that is disappointing to see and easily replaced with a one handed bar that easily slides a sleeping toddler to a flat position. I find strap reclines wake babies from sound sleeps and are just a pain to adjust. I would have loved to see a pocket for sippy cups and toys in the seat like the terrain has. 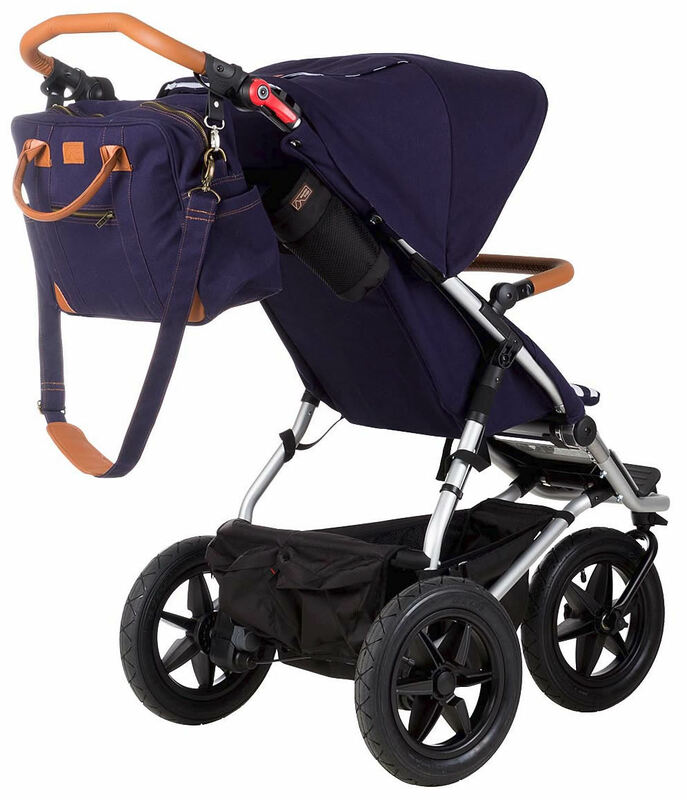 The luxury seat liner is pretty and the fabric on both the liner and the rest of the stroller are tough, durable, yet pretty. I have the Nautical themed one and the white is still sparkly even though my toddler boy has stepped, eaten, and spilled on it, and we have taken it to the woods, beach, and city. I know this seat is the standard MB design, so I knew it would not be a reversible seat, something that has always been a requirement for me. However I love the Plus carrycot that can be a reversible seat - it works great, and allows for the standard seat to shine in ways it couldn't as a reversible seat. Harness: Your standard 5pt harness - easy enough to do and undo, yet requires enough pressure to undo to make it tricky for toddlers to escape from (but also for those with limited mobility in their fingers to undo, which may be a consideration for some people. A Buckle Bopper would take care of that though). I love the leather strap covers but they fall off when the harness is undone so I am forever putting them back on - they should put something on the inside to prevent slipping. The harness fits well, and will fit for sometime, which is great for securing older children - I'm finding it tricky to figure out how to get it tightened enough for a smaller kid, although I didn't try that hard. Canopy: I LOVE the canopy on this. I am used to the more is better mentality with canopies on high end strollers, to the point where one stroller I owned had a canopy that went all the way to the seat bottom and bunched horribly (read; unattractively) when closed up. This canopy proves you can have amazing sun protection, give your child a great view, and not need a ton of fabric to do it! It has a wide arc and a pop out sun visor that completely blocks the sun from the face of my toddler and would block the sun from a smaller baby too. The sun visor is see through but does have UPF protection. We walk East often in the morning, but this allows my toddler to see well without squinting into the sun or ducking under a large canopy. It is follow the sun so in the rare occasion the sun manages to dip under, you can easily move it forward. My ONE complaint is the peekaboo window - it has a plastic cover, I'd have preferred mesh for airflow. It does have a lovely magnetic closure though. Leg/Foot Rest: Another complaint here. The luxury addition has a pull out bar to extend the seat to a leg rest. However it tilts toward the ground and is very short. Pretty much useless. This could easily be improved to a firmer, longer leg rest. My toddler is too short to reach the footrest yet, and he is constantly adjusting his legs because they hang. Brakes: This is a handlebar brake. It's requires a little force but is very easy to do and in a very convenient location Handles: Yay for tall handles!!! I am tall, and I like unusually tall handlebars. I also have a long stride. This stroller is great for me, but also wonderful for shorter parents too. The handlebars go from 38(?) to 44 inches! I don't even need to put it up all the way to be comfortable. I LOVE IT. It is leather too which is attractive and comfy to hold. Basket: Amazing basket! I am constantly amazed by how much I can put in this basket. 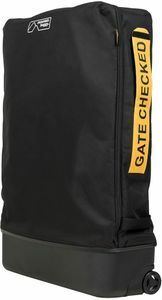 It is large and roomy, but also includes extra pockets on the back and sides. Seriously one of the best stroller baskets out there. Durability and Convenience: If you looked up Mountain Buggy in the dictionary, it would first say "durable." The brand is synonymous with quality. I'll admit that I was cautious when I first heard MB was being bought out by Phil & Teds, a company I have not been won over by, and moving production from New Zealand to China. However I can happily report that the strollers by this company are still awesome. The fabrics are strong and durable, the frame is sturdy, everything you want in a product that gets beat up by daily use. There is a reason you see 10yr old MBs on eBay and Craigslist still in perfect condition. And the amount of stuff this guy can carry around! I have a Mommy Hook and stroller organizer on here, and between that and the basket, I can lug around a ton of stuff. 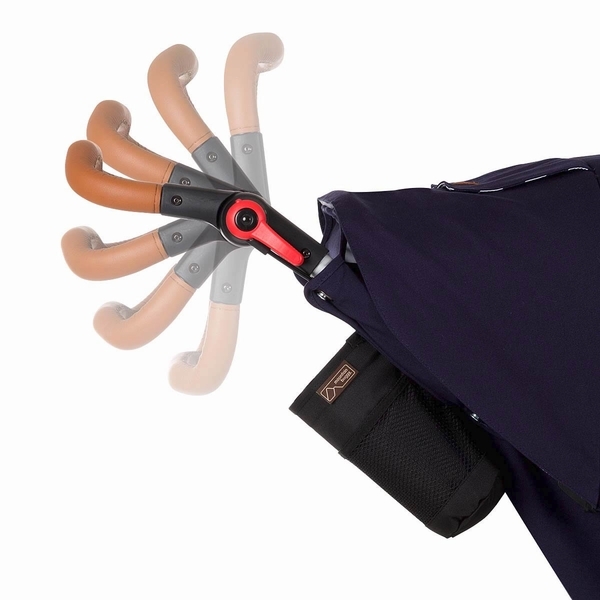 This makes for a great beach, hike, or all day outing stroller. I was really worried that their much vaunted "curb pop" was a nice way to say "tippy." However I have found it to be the opposite! It is easy to pop over roadblocks, true, but you can hang just about anything from the handles without effecting the center of gravity. As long as you put it near the seat and not near where you put your hands. Wheels and Push: 12" air filled tires are nothing to sneer at. Air filled always scares me because the idea of a flat in the middle of a hike is not my idea of a good time. But these are durable along the lines of the rest of the stroller. I have had no issues thus far. I REALLY would have liked to see 16" wheel upgrades for this stroller though, in case you wanted to tackle rougher ground or run. I REALLY REALLY want to see this kind of wheel upgrade - take note Mountain Buggy!! The push on this stroller is on par with other high end strollers, it is excellent - but it's not the terrain. The Terrain blows all other high end strollers out of the running with it's suspension and rear wheels, I'd have loved better suspension on this one too - it's a really great push, but I know that MB can do better because they have on the Terrain. Fold: Not gonna lie, this is a huge fold. Not as big as the older Urban Jungle models, not as big as the Terrain fold, but it's still large for a stroller in this price range. It's been the standard MB fold for awhile, but tradition does not need to form here. I understand that redesigning the fold would mean redesigning the whole stroller, but folding it in half doesn't match with the rest of the high end stroller market. It does fit well in my trunk though. I do have a complaint though - it would be nice if the button to fold could be on either side of the bar - it's the off side for me, I am constantly reaching the wrong way. It makes folding the stroller an awkward maneuver and a two handed job. TL;DR: I think what I wanted was a luxury terrain. This is an awesome stroller, most of my complaints are solved by adding some features of the Terrain. 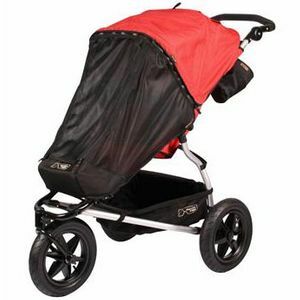 Still a great buy and a stroller that will last you forever. Great accessories available, definitely take those into consideration! I bought this stroller for our first daughter a few months ago after conducting a lot of research. I had been working as a nanny for years and knew what kund of features I was looking for in a stroller. This one definitely fits the bill. It's super easy to manuveur, it's light weight, the design is great, it's practical, sturdy and so versatile. I got the bundle including the bassinet and I love the options of using the bassinet, parent facing seat and forward facing seat. Very happy with customer service too. I had a few questions prior to ordering the stroller and received prompt and helpful respons. Only one thing I wish were different: the clips to snap in the car seat (Mountain Buggy Protect) and the bassinet are different so I had to purchase an extra set of adapter clips. It would be easier and more convenient if both the car seat and bassinet worked with the same clip.